Christy Wampole’s ‘How to Live Without Irony’ (November 18) offers food for thought but, for all its prolixity, entirely misses stating what is at the core of irony as a rhetorical strategy, namely its negativity, its inability to signify anything of positive value. In terms developed by the modern founder of sign theory (semiotics), the American philosopher-scientist Charles Sanders Peirce (1839-1914), irony can never go beyond being an index, merely calling attention to itself and always necessarily falling short of being a symbol, which is the only kind of sign that encompasses positive meaning. Apropos, only the most dogged literalist, without any real-life experience of the situational use of the proverb cited in the preceding post (“Language as an Aesthetic Object”), could comment that the mother must have “taken umbrage” at having her child’s provenience ascribed to adultery, thereby implying some kind of misplaced cosmic irony in her expressed admiration withal of the proverb’s poetic form and of its utterer. 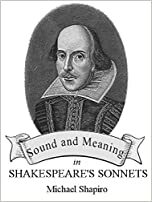 Apart from poetry and art prose, language serves a purely utilitarian purpose, and its users rarely have occasion to comment on its form, although an apt turn of phrase or memorable formulation may call forth condign praise from an interlocutor. Upon hearing this utterance, the mother immediately expressed pleasurable amazement, not at the content or purport of the proverb, but at the fact that their walking companion had summoned it up (in what amounts to an alien, non-autochthonous environment), and at its poetic form. It should be added for clarity that the mother, an art historian with a keen linguistic sense but little opportunity to speak her mother tongue, was expressing an aesthetic appreciation that is so characteristic of Russians when they hear their native language spoken with élan in even the most humble contexts. Every language has words––like terms of respect––that instantiate politeness through speech. Some languages––for instance, Japanese––even have a whole grammatical adstructure (called keigo in Japanese), to which speakers resort when addressing a person of higher status. These speech patterns are part of linguistic decorum, an important means by which the potential abrasiveness of human relations is forestalled and the transaction of the business of living with one’s fellows is anodized and rendered more bearable. When encountering an interlocutor who is extraordinarily polite and respectful, one not only has the feeling of linguistic finesse but that of melioration in general of the human condition. Every language has the wherewithal to fulfill this function, but speakers necessarily vary (due to upbringing and temperament) in the degree to which they are adept at implementing it. In this respect, perhaps more than in any other aspect of interpersonal behavior, language has the capability of helping one fulfill one’s capacity to realize what could even be called the religious dimension of human consciousness that is at the root of our peculiarity as sentient beings.